The Olympia venue has been characterised by a colourful history since 1886 and had its first Ideal Home show in 1906. 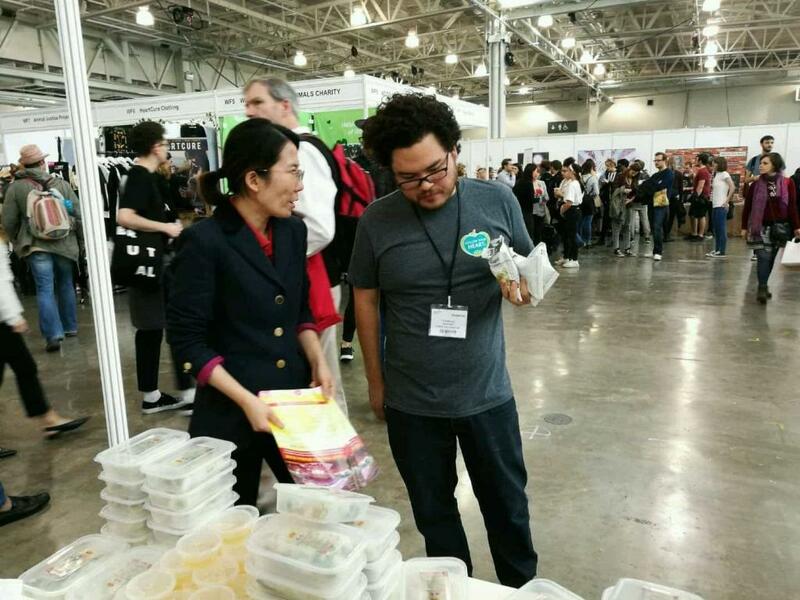 After a journey of hosting different types of events of over 130 years, vegans and vegetarians in London now have the opportunity to enjoy a fantastic VegFest on 22nd Oct 17. 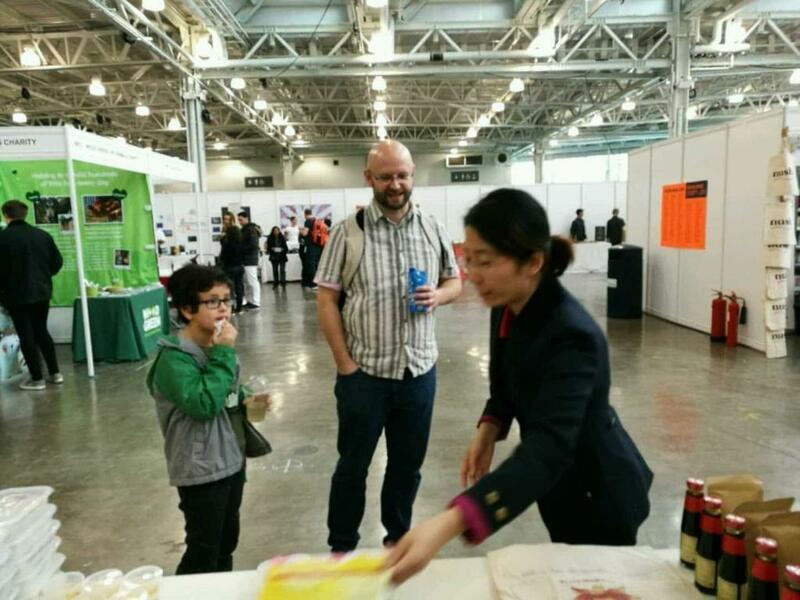 UK Guan Yin Citta Buddhist Charity Foundation also participated in this wonderful event along with their handmade Vietnamese Summer Roll sold out in just a couple of hours. 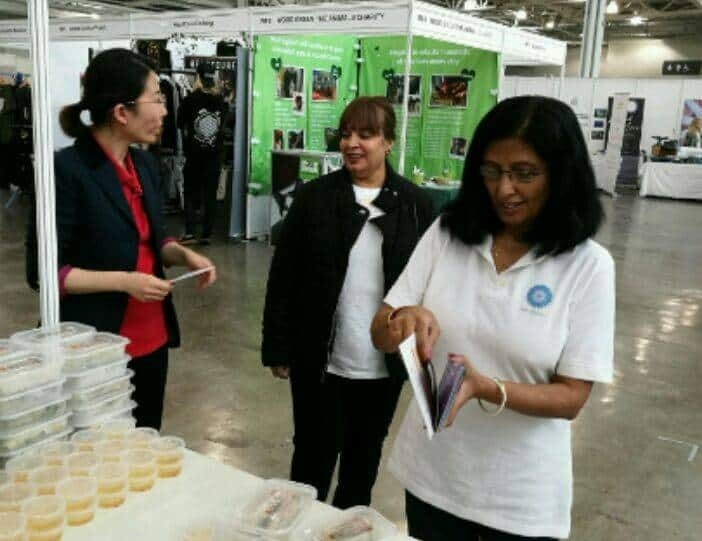 I had the opportunity to sit down with one of the regular volunteers, Ms. Song, who said: this is a really good platform to promote a healthy diet, being vegan and vegetarian can be far more than just vegetables. The reason why their summer rolls are sold out so quickly is because first of all ,they are not here for business, they are here for charity; all the sales made on the day would be donated to the Heads Together Charity, a mental health initiative spearheaded by the Duke and Duchess of Cambridge and Prince Harry aiming to help people who are struggling with their mental health issues. Secondly, they are giving away free rice, cooking supplies and recycling bags in an attempt to promote a more caring and greener environment. 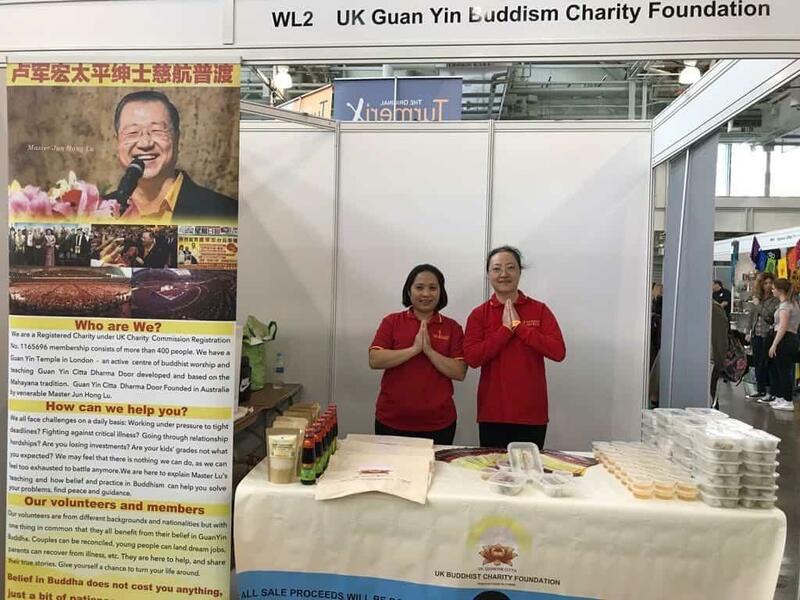 When I asked why she chose Heads Together to donate to, she replied that UK Guan Yin Citta Buddhist Charity Foundation was a small charity but keen to tackle one of the toughest problems in modern society – mental health. There are 300,000 people every year leaving their jobs due to mental health issues in the UK. Buddhism is not longer just something that can only be seen or talked about in a temple. The positive energy and hope for the future is one of the most effective ways to calm people’s troubling thoughts and overcoming obstacles.